The Knights Templar came into being in around 1129 as an Order of “fighting monks” tasked principally with the protection of Christians on pilgrimage to the Holy Land, and with participation in Crusades (and incidentally with infrastructure and finance). They soon became immensely wealthy and powerful, and at the same time the subject of much mistrust, on account of the secrecy surrounding their activity, making themselves many dangerous enemies as well as friends. On 13th October 1307 – according to myth, the original unlucky “Friday the Thirteenth” – the leaders of the Knights Templar were arrested on a variety of charges, at least some no doubt trumped up by debtors and other vested interests, under a warrant reading “God is not pleased. We have enemies of the faith in the Kingdom” (“Dieu n’est pas content, nous avons des ennemis de la foi dans le Royaume”). They were later tortured into confessing to having “spat three times on the Cross” (” … craché trois fois sur la Croix … “), and done to death by being burned at the stake, and the entire Order was eventually disbanded, essentially to be superseded by that of the Knights Hospitaller. 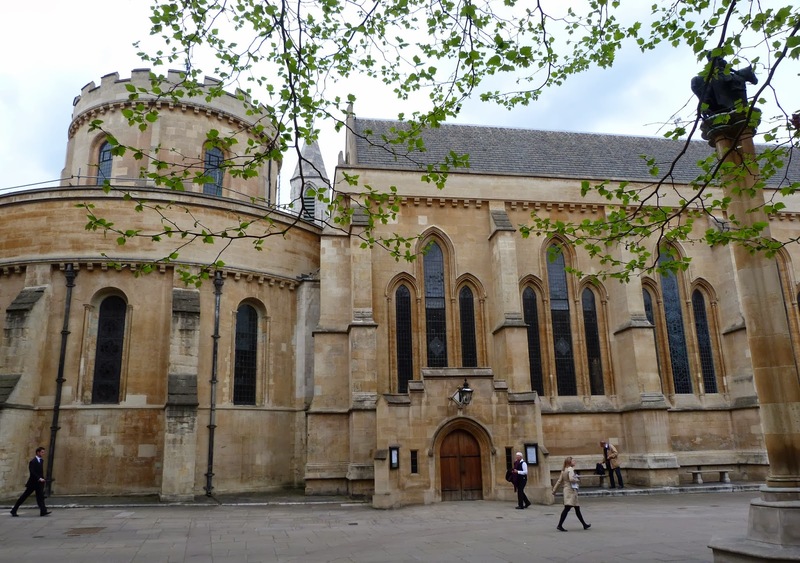 One is Temple Church, in a precinct off Fleet Street. The church was originally built in 1160-85 and 1220-40 (although it has been restored or rebuilt on a number of occasions subsequently, most recently following bomb damage sustained during the Blitz). 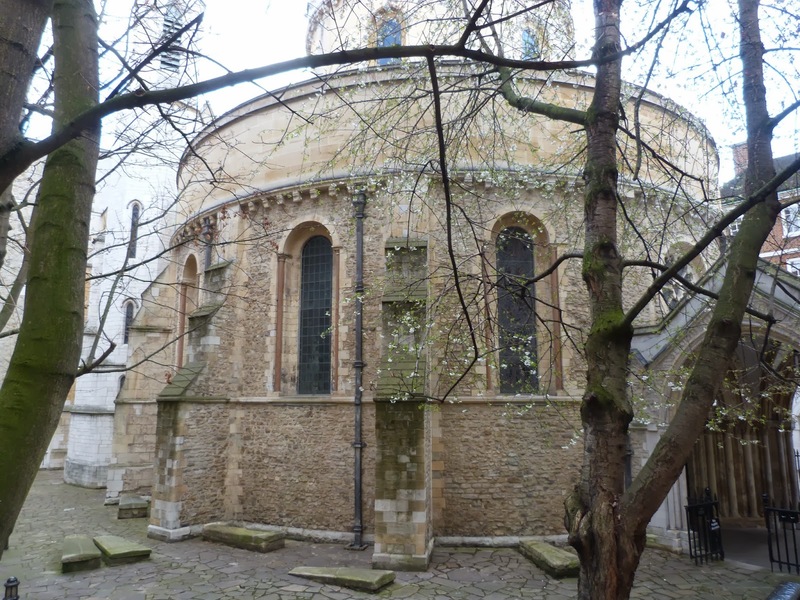 The round nave, modelled on either the Church of the Holy Sepulchre or the Dome of the Rock in Jerusalem, is twelfth-century, and Norman, or Romanesque in style, with typically round-arched windows. The rectangular chancel is thirteenth-century, and Early Gothic, with pointed-arched lancet windows. The famous Purbeck Marble effigies of Knights Templar are also thirteenth-century. The alabaster altar-tomb to Edmund Plowden, the Treasurer of Middle Temple, dates to 1584; the monument to Richard Martin, the Recorder of London, to 1615. 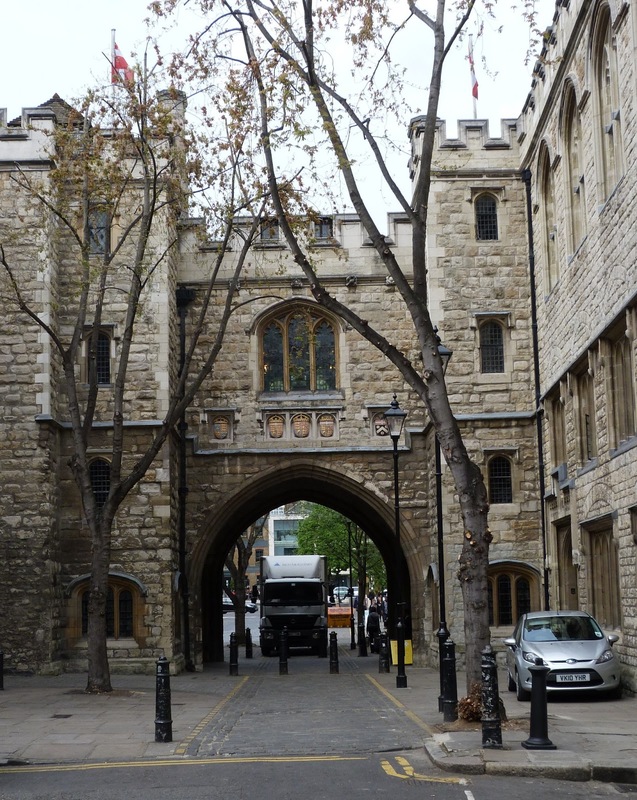 The other is the Priory of the Order of the Hospital of St John of Jerusalem, in a precinct in Clerkenwell. The priory was originally built in around 1145, and destroyed during the Peasants’ Revolt in 1381 (it was actually deliberately targetted at this time because the then prior, Robert Hales, was also the Lord High Treasurer, and responsible for the introduction of the hated Poll Tax). It was rebuilt by Prior John Redington immediately afterwards and restored by Prior Thomas Docwra in 1504, and dissolved in 1540 (it is said that the last prior, William Weston, died on the very day the priory was dissolved, of a broken heart). The former priory and later parish church, also with a round nave, was substantially destroyed during an air raid on the last night of the Blitz, 10th-11th May, 1941, and subsequently rebuilt. Remarkably, the original crypt of 1145 still survives. A separate gate-house of 1504 also survives. The gate-house served between 1560-1608 – that is, immediately after the Dissolution – as the “Office of the Revels” (how wonderful! ), where theatrical performances were licensed, and sets and costumed procured. 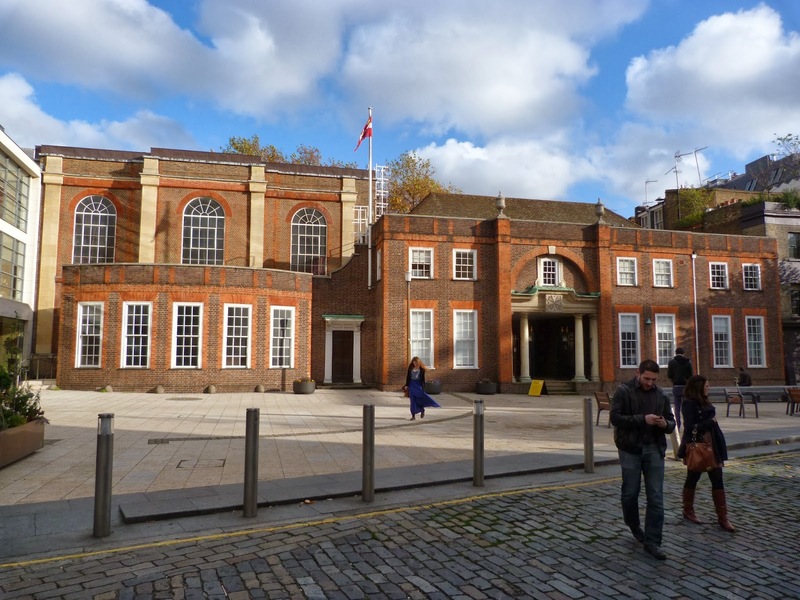 It re-entered the possession of the by-then Order of St John in 1873, and now houses the Order’s museum.